It’s been a great reading year! While I know many of you are a bit tired of the Best of…. lists that follow headlines this time of year, I couldn’t resist sharing my own lists. 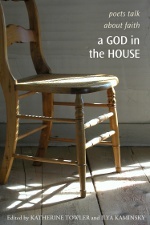 Today, it’s the best chapbooks of 2011! Everyone is posting recommendations for holiday lists, and the collections all look great, but I want to offer two suggestions for the blue-collar worker that is probably in many of us. This past March marked the 100th anniversary of the Triangle Shirtwaist Factory Fire. If you don’t know much about this event, you can check the information found here. Some working-class historians suggest that this tragic event is one of the most written about, and it’s certainly a topic of many poems. A slim chapbook of poems, Walking Through a River of Fire: One Hundred Years of Triangle Factory Fire Poems, edited by Julia Stein and published by CC Marimbo, was released earlier this year commemorating the anniversary. Stein includes some of the classic Triangle poems by Chris Llewellyn (from Fragments from the Fire) and Mary Fell (from Persistence of Memory), but there are many other poems that may not be so familiar, even to the working-class literature scholar. Overall, What I liked most about this anthology was the sheer variety of poems and short stories about different types of work — there was domestic work, factory work, retail work. My favorite poem is “What Is Not There” by Eileen Malone about a young woman who shucks oysters for a living: “The owner pays her by the plate, replies/of course she can keep any pearl she finds/although there are no pearls in these oysters”. You can find more information about Walking Through a River of Fire here. You can find more information about Motif 3: All the Livelong Day here. The best advice that I have ever received was to read — read everything — even poets who don’t write like you or poets you don’t think you will understand. I’ve just finished a book that falls into the first category. Ida Stewart’s book, Gloss, won the Perugia Press’s award for 2011, and because I always love Perugia’s books, I ordered my copy right away. And then I found out that the book was about the Appalachia region, and I got even more excited. When the book came in the mail, I dove right in. At first, I must admit, I was a bit disappointed. I have always loved the work of other West Virginian poets including Irene McKinney and Maggie Anderson, and I guess I was expecting an imitation of their work, which of course, is unfair all around. Stewart is not a strict narrative poet — although her poems certainly tell stories. Instead, she evokes a song like, lyrical quality in her work — almost as if she is trying to capture the echoes of mountains. Her works are full of wild sarsapilla, of “little moons/of deer eyes,” of split-rail fences. Yet, while there is celebration in her work, Stewart does not ignore the politics of her world, often having her mountains celebrate their own presence or speak against the pillaging of their world. Although I live in Northern Appalachia, Stewart’s world is not my world. My mountains, or “hills” are still intact. (Pennsylvania is wrestling with another environmental issue, fracking, which has not yet entered the poetry world. Or maybe it has and I just don’t know about it!) But Stewart’s use of language embraces the natural wonder of our land without falling into cliché — her work really deserves a more careful review on my part, but as time is limited right now, I just want to say that Stewart is on my list of poets whose work I will watch for!